Korean company mintpass some time in your market offers unusual mintpad (all written in lowercase, for some reason), and now is saved and sent him to the world market. Pocketables it is a miniature device that is a cross netbooka, handheld, digital camera and PMP's, and who is in his home country already gained quite some popularity. 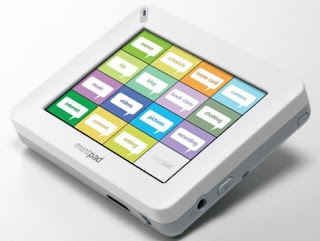 Among other things, supports the ove rride virtual keyboard and handwriting recognition, thanks to color-screen sensitive to touch, take pictures in JPEG and movies in AVI format, access the Internet, access to other mintpad nearby, connecting to WiFi networks and many other amenities.